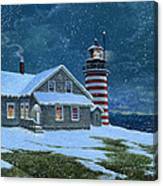 West Quoddy Lighthouse by Tom Wooldridge - 10.000" x 7.250"
West Quoddy Lighthouse framed print by Tom Wooldridge. Bring your print to life with hundreds of different frame and mat combinations. Our framed prints are assembled, packaged, and shipped by our expert framing staff and delivered "ready to hang" with pre-attached hanging wire, mounting hooks, and nails. So beautiful, wonderful work, voted! Tom Wooldridge was born and raised in Washington, DC. After two years of study at the University of Kentucky, he was accepted to the Art Center College of Design in Los Angeles, CA where in 1969 he received a bachelor of fine arts degree with honors. 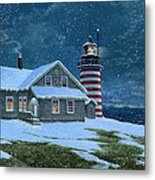 A signature member of The National Watercolor Society, Tom's paintings have won numerous awards and are in private and corporate collections around the country. Eight of Tom's paintings may be seen in the American Pavilion at Epcot Center's International Showcase, Walt Disney World in Orlando, FL. Many thanks to all who have visited my pages and especially those who have commented on my work.